acute hospital for the Enniskillen Trust in Northern Ireland. 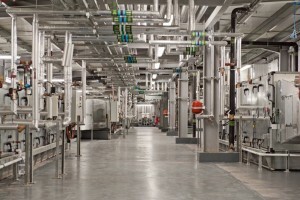 Spirax Sarco also provided the controls to manage the steam feeding the hospital's combined heat and power (CHP) plant. The company carried out the work after being appointed by Mercury Engineering, which was contracted to provide building services for the new facility. "Spirax Sarco was our preferred supplier because they offer good experience and high quality," says Gerry O'Donnell, contract manager with Mercury Engineering. "They did the steam system design and project management, as well as supplying the equipment, so Spirax Sarco was a one-stop shop for us."